Getting a piercing can be a wonderful experience. It can be a magical, spiritual moment for some and an awkward and funny moment for others. Some think it hurts; some enjoy the sensation. A lot of people plan and prepare for their piercings and even more come in on the spur of the moment. All, inevitably, have questions. Having worked the front desk of a body mod shop for nearly a decade, I’ve heard every question out there. When it comes to piercings, especially, we get asked the same few questions over and over again. This article will answer those questions and give you the basic info you need before you get a new piercing. My lip was one of the least painful piercings. This is, without a doubt, the most common question of all. And the answer is yes. And no. And sometimes. When it comes to the pain, there are three things you have to keep in mind. 1. Not all piercings feel the same. It’s impossible to say that every piercing hurts or that none of them do, because different parts of your body will feel different being pierced. Some parts are more sensitive than others, so where you get it will make a big difference. 2. Not everyone feels the same amount of pain, or in the same places. It’s always hard for us to tell you if the piercing will hurt you; we can only tell you if it hurt us. Everyone is different. For example, my co-worker and I are complete opposites when it comes to pain — she thought her nostril was quite painful and that her microdermal was almost painless. I barely felt my nostril and found getting my microdermal quite uncomfortable. Only you know your body and what parts of it are most sensitive to pain. 3. A piercing is over in seconds. Even if you do find it painful, it’s over before you can say “ouch”. If done in a clean and professional shop, the risks are minimal. It’s up to you to find a good shop and to follow their aftercare advice. Dirty equipment. This is why it is so important to find a clean shop that has an autoclave and ultrasonic and professional piercers who open all of their tools in front of you so that you see it coming out of sterile packaging. Bad aftercare. If you ignore the aftercare instructions and get it dirty, touch it and play with it all the time, get make-up in it, or change it too early, it can become irritated or infected. Sharing jewelry. Even if you have given it a good cleaning, there are likely still pathogens on the jewelry that you are about to insert into your body. Gross. And dangerous. Using a piercing gun. 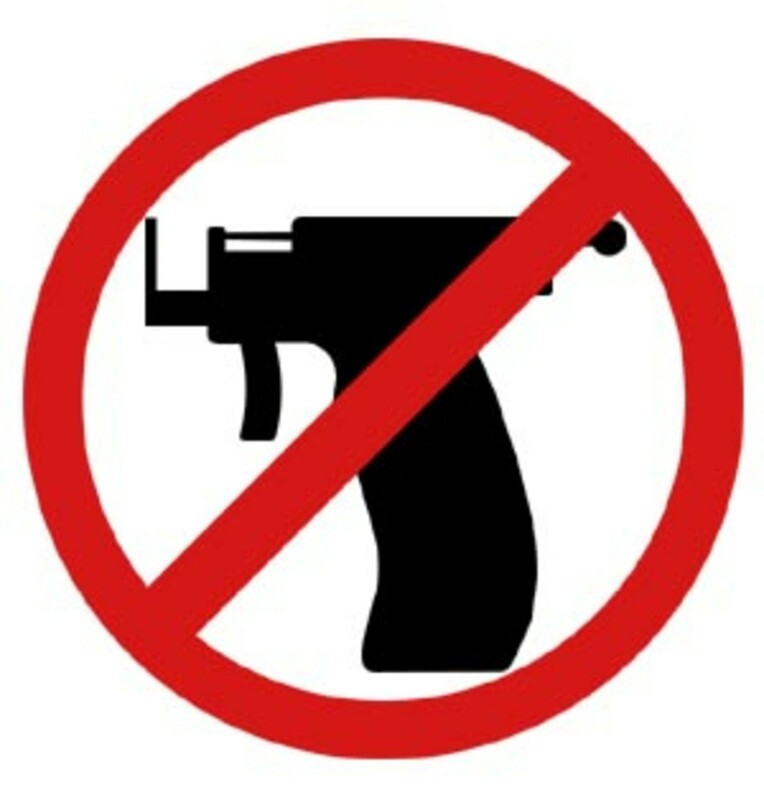 Because their casing is plastic, they cannot be sterilized (sterilization requires extreme heat — the guns would melt), which means that any pathogens that shot into the gun from the client before you are still on it when you get pierced. Even if the gun is single-use, the dull jewelry that gets shot through your ear or nose causes far more trauma to your skin than the sharp point of a needle, which can make you more susceptible to irritation. The other main risk is rejection, which is when your body decides it doesn’t like being pierced and starts pushing the jewelry out. This isn’t particularly painful, but it can leave a nasty scar. 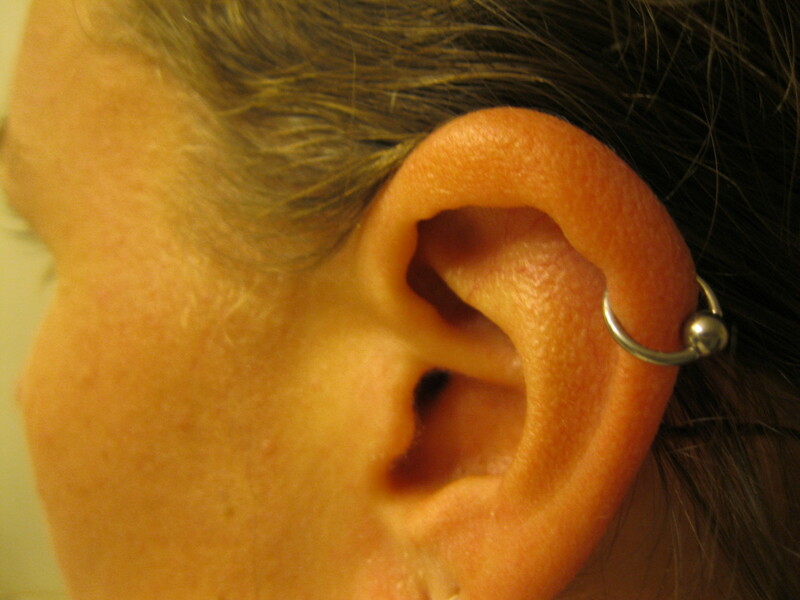 If you think your piercing is migrating, have your piercer check it out. If it is rejecting, take it out immediately to avoid scarring. You can always try again once it’s healed. My rim took the longest to heal, at over 6 months. How long a piercing will take to heal depends on where it is, how you treat it and how quickly you heal. Most heal in 12 weeks or less, but some can take as long as 6 months. Of course, it’s different for everyone, but the general rule is, the less important that body part is, the longer it will take to heal. That means your navel (bellybutton) or ear cartilage will likely take longer to heal than your tongue or lip, because you need a functioning mouth more than you need a healed navel. How you treat your piercing will make a big difference in healing time, as well. Using saline solution to clean it, rather than alcohols or peroxides, will speed up the healing process significantly; alcohol dries out your skin and kills all the good bacteria (yes, there is such a thing!) that helps you heal. Keeping it clean is vital — if it’s a facial piercing, make sure your pillow cases and hats are clean as well. Also avoid swimming or getting make-up in your new piercing. This is healed, so I added a jewel, but it gives you an idea of the standard size when first pierced. Not as bad as you feared, right? Can I Get Something Tiny? 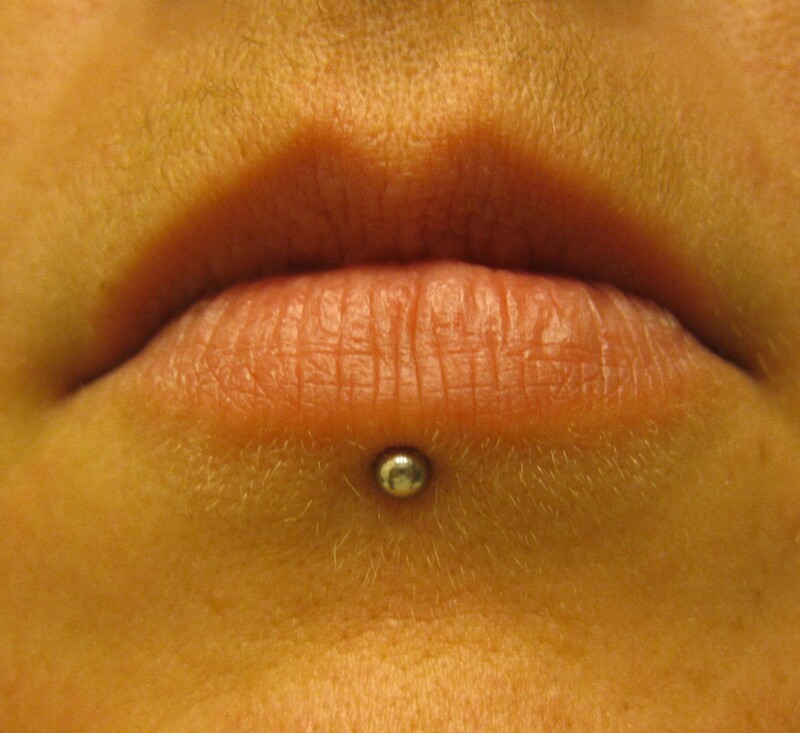 Girls especially appreciate cute and dainty piercings — a tiny bead on a lip stud or a little jewel in a nostril. More times than I can count, I’ve been asked how small the starter jewelry can be. As much as you may hate it, it has to be a little big to begin with. The reason for this is that a lot of piercings swell at first — sometimes just a little, and sometimes a lot! That’s why people talk funny after they get their tongue pierced; it’s not because it hurt, it’s because it’s swollen. If you put a tiny bead or really short barbell in your new piercing and it swells up, your skin can literally swallow the jewelry, and you can only imagine how great it feels getting that out! It’s worth having a bulkier piece of jewelry for a couple of weeks to avoid the pain of a too-small piece. Should I Get a Piercing? I probably should have put this closer to the top than the bottom, but I think this is actually a good question to close with. Once you’ve considered where you want to get pierced and what the risks and aftercare consist of, you can make an informed decision about getting pierced. Unlike tattoos, piercings can be temporary, so they can be done a little more impulsively and much more cheaply, but they still take some consideration and love. If you are prepared to keep it clean, are allowed to have them at work and are okay with your starter jewelry options, go for it!